*Many attractions offer online discounts and coupons. 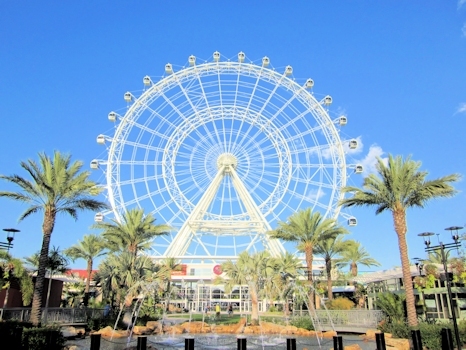 Most of the attractions (but not all) also offer discounts to Florida residents, senior citizens (AARP too), military & gov't personel, reduced child prices, group discounts (usually 15 or more, but sometimes as little as 10+), AAA members, corporate and other types of discounts are typically available. Also, the major attractions periodically may offer multi-day passes and annual admission pass bargains and other types of discounts and incentives. Sometimes these other types of discounts can be somewhat greater than the online coupons/discounts, so you may want to seek out and compare them. Availability of coupons and discounts is through the respective attractions websites (and not TouristFlorida.com) and they can and will change without notice. 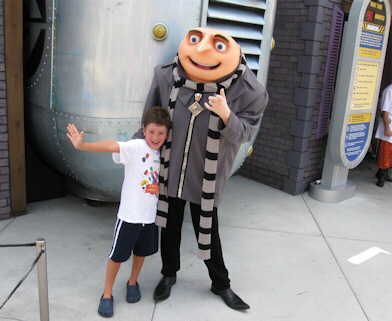 Attractions reviews are independent from the entities reviewed, and none of the above-reviewed attractions is owned or operated by TouristFlorida.com, LLC. 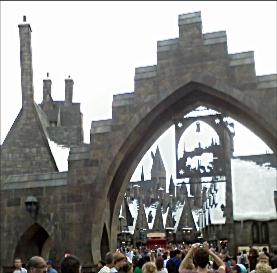 I highly recommend visting The Wizarding World of Harry Potter at Universal's Islands of Adventure! 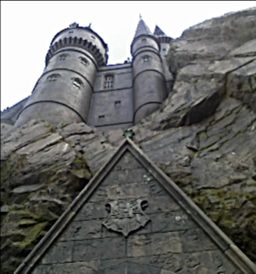 Taste the Butterbeer! The main ride is fantastic and intense (almost lost my cell phone, and I've ridden lots of coasters) ! It's so much more than a sim ride! And you'll enjoy the attention to detail all along the way too! I don't want give anything away, just go! Next door also visit Universal Studios exciting Hollywood Rip Ride Rockit which goes 65 mph, and starts off on a completely vertical 17 story rise and shoots you through buildings and a loop where you don't go upside-down! See the link and click on "TRICKS" for the amazing computer graphics videos of this incredible roller-coaster loops and turns. 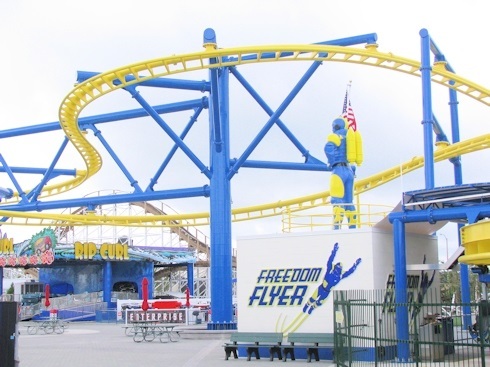 The Manta Roller coaster at Sea World seats rotate horizontally to put riders in face-down position, with thrilling near-miss passes and multiple loops. 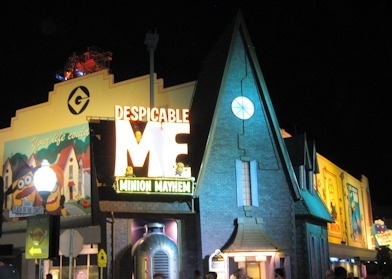 Check out The Simpsons Ride at Universal Studios Orlando. Aquatica - SeaWorld's Water Park has walk around animal attractions, dolphins, an aviary, and rides like Dolphin Plunge, innertube rides, white water rapids, water slides, giant wave pool, aquariums, restaurants, stores and more! 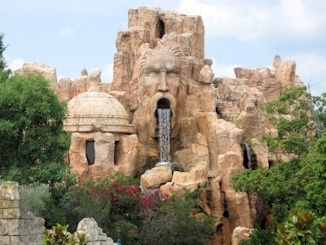 Busch Gardens (in Tampa) has its kid-friendly Jungala attraction with rides and new walk around animal habitats and it's SheiKra roller coaster is now floorless, carrying riders up 200 feet and then hurtling them 70 mph straight down at a 90-degree angle. SheiKra is the first of its kind to incorporate an Immelmann loop (a rolling maneuver), a second, 138-foot dive into an underground tunnel and a water-feature finale. With more than half a mile of steel track, SheiKra offers a total ride time of just over three minutes. You might consider bringing cheap plastic rain-ponchos (usually $1 in the dollar stores) during the rainy season (summer) because ponchos in the theme parks are typically more than $5 each. 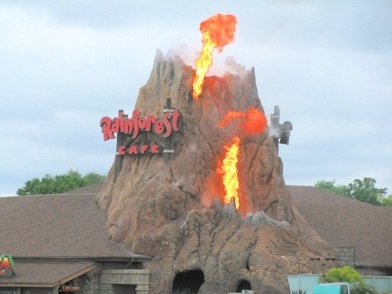 The Rainforest Cafe's Volcano in Disney Springs erupts frequently. The Art and History Museums of Maitland. You can see a full ride-through of Universal's Skull Island Reign of Kong at this link. Sea World's Mako roller coaster is open. 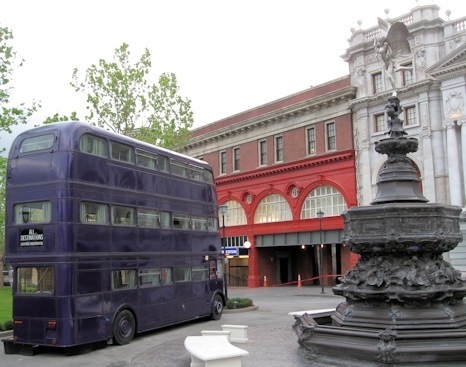 Here's the Knight Bus parked outside of Harry Potter King's Cross station at Universal Studios; the train ride and the rest of the attraction including Diagon Alley and the Escape from Gringott's roller coaster ride. You will need a 2 park pass to ride the train. Here's a (spoilers) video of the whole train ride . Disney's Seven Dwarfs Mine Train at the Magic Kingdom opened. 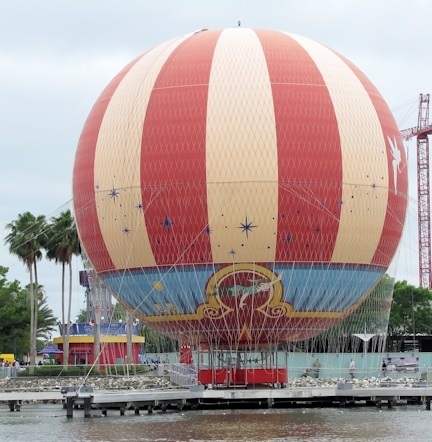 This is an image of the tethered helium balloon at the new Disney Springs shopping and entertainment area (formely known as Downtown Disney) named Characters in Flight, which takes you up to 400', and is a real thrill bargain! It's the biggest tethered helium balloon ride in the world. 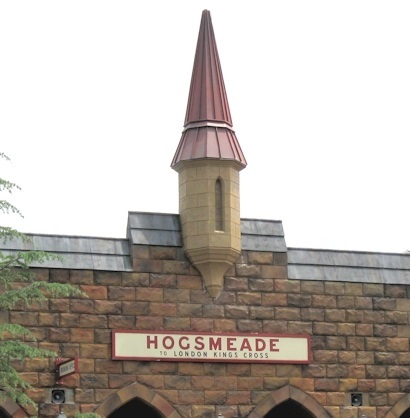 The Wizarding World of Harry Potter Hogsmeade train to King's Cross station is open. 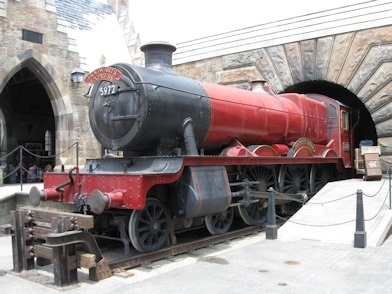 This is the original train at Hogsmeade (doesn't move), but the new station with the moving version is right next to this. Legoland has re-opened its Duplo Valley. They added a few attractions but most of all a mini waterpark for ages 2-5, which is a little bigger than Craggar's Swamp in Lego Chima. 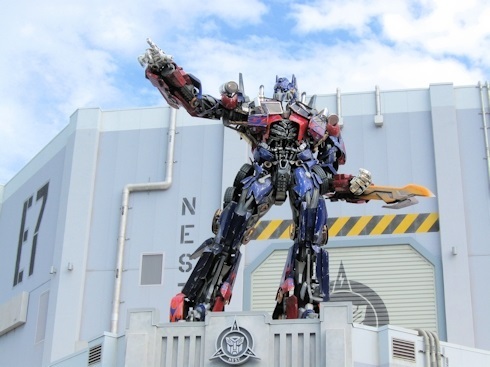 Universal Studios has opened their Transformers: The Ride-3D. Sea World has Antarctica: Empire of the Penguin, which combines a live penguin exhibit with an indoor spin ride. New Fantasyland is open at Walt Disney World's Magic Kingdom. Falcon's Fury at Busch Gardens Tampa is open. Busch Gardens Triple-Launch Cheetah Hunt roller-coaster ride is now open. Click here for a youtube video from them. 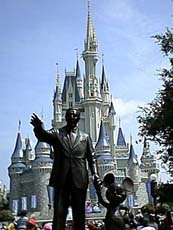 NONE OF THE ATTRACTIONS, CORPORATIONS OR OTHER BUSINESS ENTITIES WHICH ARE MENTIONED, COMMENTED ON, REVIEWED, COMPARED, REPORTED, PROVIDED FOR EDUCATIONAL PURPOSES OR LINKED TO ON THIS SITE " http://www.touristflorida.com " OR ON ANY SUB-PAGES OF THIS SITE, ARE OWNED, CONTROLLED OR OPERATED BY TOURISTFLORIDA.COM, LLC. ALL COMPANY NAMES, LOGOS, TRADE NAMES, BRAND NAMES, PRODUCT NAMES, AND SERVICE NAMES MENTIONED, COMMENTED ON, REVIEWED, COMPARED, REPORTED, PROVIDED FOR EDUCATIONAL PURPOSES OR LINKED TO ON THIS SITE ARE COMPANY NAMES, LOGOS, TRADE NAMES, BRAND NAMES, PRODUCT NAMES, AND SERVICE NAMES OF THEIR RESPECTIVE OWNERS AND ARE NOT THE PROPERTY TOURISTFLORIDA.COM, LLC. All registered trademarks with the symbol "®" or or trademarks indicated by "TM" listed on this site are the property of their respective owners, and are not owned by TouristFlorida.com, LLC". Please see our Important Information, Legal Notice and Site User Agreement before using any information from this site - http://www.touristflorida.com or its sub-pages.